The Martian tells the story of Matt Damon (well, a character Matt Damon plays, but let’s be real: it’s Matt Damon), an astronaut stranded on Mars after a vicious storm separates him from the rest of his crew. With dwindling food and supplies, Astronaut Matt Damon has no choice but to attempt a daring escape back to Earth… Actually, he has at least one other choice: he could get comfortable and purchase some recreational property. For Matt Damon, financing a Martian cottage would just be a matter of writing a check; A-list Hollywood celebrities tend to be pretty stacked. But we’re dealing with Astronaut Matt Damon. Astronauts grind it out on a modest government salary, so financing gets more complex. Still, as you’ll see, it’s not rocket science. One of the keys to securing a mortgage on recreational property is insurability. The cost of insurance on a second property can drastically affect mortgage rates. 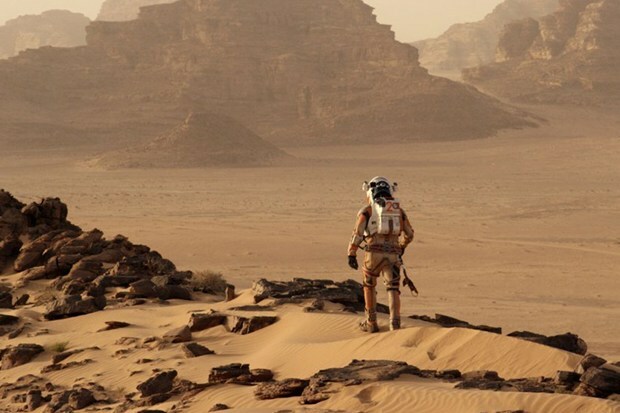 So how insurable is Astronaut Matt Damon’s Martian property? Accessibility: For cottages, access by private, unplowed roads or by water-only routes will increase insurance rates. Astronaut Matt Damon’s place is only accessible by spaceship and land-rover…so that’s a point against. Winterization: Winterized cottages are a definite plus for mortgaging. Martian winters get brutal; picture Winnipeg, but not as severe. Since Astronaut Matt Damon’s an Astronaut, let’s assume he’s a pretty smart guy and went for a winterized place: score one for the Martian! State of Repair: When buying a pre-existing property, it’s state of repair impacts the insurance. If it’s in rough shape, you can pay a higher rate or pay to fix it up—a losing proposition either way. There probably aren’t a lot of Martian cottages already available, so Astronaut Matt Damon’s place is a personal build; this won’t apply. Is it worth it to buy your own second property? In some cases, it might not be: if you only use it a few times a year, the yearly mortgage payments of $15,000 on a $200,000 property (according to some estimates) might be a lot higher than the price of a biannual family vacation. However, that net cost drops if you consider the property’s annual rise in value and the potential to rent. But since Mars isn’t exactly hot property yet, and finding renters might be tricky, Astronaut Matt Damon has his work cut out for him to make payments. All things considered, getting mortgage approval on Martian property will hardly be a blast. But if you’re hoping to count down the days until you pay off the mortgage on your own recreational property, don’t space out. Lift off the couch and contact an experienced mortgage professional today.